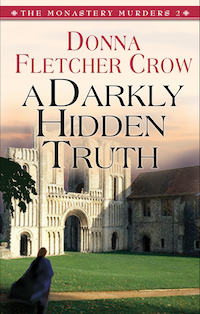 CONGRATULATIONS to Donna Fletcher Crow on the publication of A Darkly Hidden Truth, the second book in her ‘Monastery Murders’ series with Monarch Books. Donna is another writer I met in the ACW (Association of Christian Writers) facebook group: she is the author of 36 books, mostly novels dealing with British history, her best known work being the award-winning Glastonbury, an Arthurian grail-search epic that covers 15 centuries of English history. Book 1 in the ‘Monastery Murders’ series, A Very Private Grave, was her re-entry into publishing after a 10 year hiatus, and she is now at work on book 3, An Unholy Communion, scheduled for 2012. Wednesday 28 September was the big day! It was circled on my calendar. Was it on yours? Well, probably not — or if it was, probably not for the same reason: 28 September was the official release date for A Darkly Hidden Truth: The Monastery Murders 2, from Monarch Books. Book 1 in the series, A Very Private Grave, has been out for just a year and many readers have been kind enough to ask, “When will the next one be out?” So I’m hoping a few others will have the date marked as well. Those who have read A Very Private Grave will know that Felicity Howard, my set-the-world-on-fire, headstrong American heroine learns something even more important than the identity of the murderer of her beloved Father Dominic (and just in the nick of time to save her own life) — she learns that she doesn’t know everything. Although this is a contemporary mystery series the historical backgrounds are of great importance to me. As a matter of fact, with each book I started with the historical story I wanted to tell and wove my modern plot around that. In A Very Private Grave I tell the marvellous story of St Cuthbert and the Christianisation of the north of England as Antony and Felicity flee from The Holy Isle of Lindisfarne to Jarrow, Whitby, Whithorn and Durham, chasing and being chased by murderers. A Darkly Hidden Truth, in keeping with the theme of motherhood, tells the story of two of the most remarkable women writers of the middle ages: Julian of Norwich, whose Revelations of Divine Love was the first published book in English to be written by a woman, and Margery Kempe, who wrote The Book of Margery Kempe, the first autobiography in the English language, even though she was illiterate. 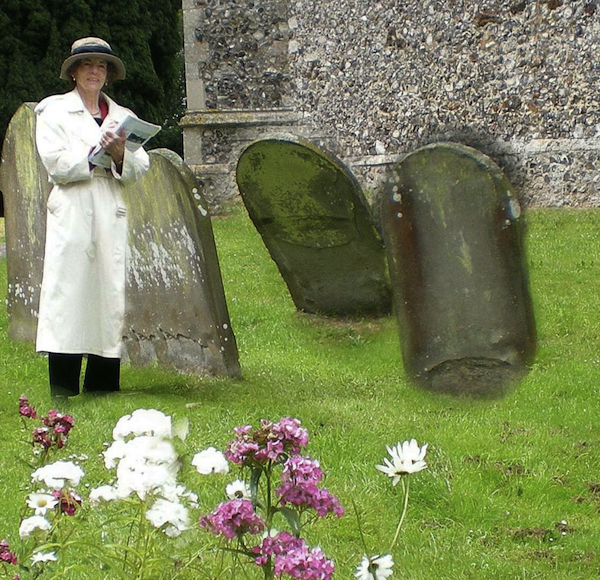 And once again, Felicity’s journey of discernment that takes her from the Shrine of Our Lady of Walsingham to the inner sanctums of the Knights Hospitaller in London and on through the most sodden parts of the Norfolk Broads reveals even greater truths about herself than about the murderer she seeks. Look for it in fine bookstores now! 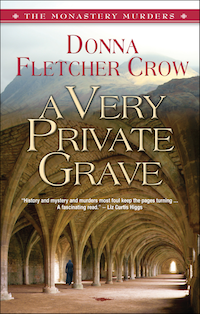 Readers who enjoyed ‘A Very Private Grave’, the first in Donna Fletcher Crow’s Monastery Murders, will be delighted with the second in the series. ‘A Darkly Hidden Truth’ finds Felicity Howard tangled again in a mystery with roots in ancient church history, in this case all the way back to the founding of the Knights Hospitaller in 1061. With this book, Crow establishes herself as the leading practitioner of modern mystery entwined with historical fiction. The historical sections are much superior to The Da Vinci Code because she doesn’t merely recite the facts; she makes the events come alive by telling them through the eyes of participants. The contemporary story is skillfully character-driven, suspended between the deliberate and reflective life of religious orders in the UK and Felicity’s “Damn the torpedoes, full steam ahead” American impetuousness. Her descriptions of the English characters read like an updated and edgy version of Barbara Pym. A Darkly Hidden Truth weaves ancient puzzles and modern murder with a savvy but sometimes unwary protagonist into a seamless story. You won’t need a bookmark — you’ll read it in a single sitting despite other plans. … and for those who want still more: visit www.donnafletchercrow.com for donna’s blog, a video for A Very Private Grave and pictures from Donna’s garden and research trips. 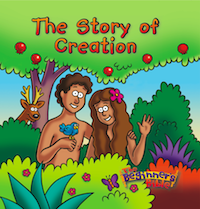 My thanks to Donna for providing this guest post. I’m not entirely convinced that the purpose of this blog should be a place for authors to plug their own books, but if she can, I’ll be along shortly with a plug for mine! Ah, you old cynic, Veronica 😉 … meant in the friendliest possible way, of course, the ‘old’ being a turn of phrase rather than a specific reference to your age, about which I have no idea. Perhaps you’d like to offer a guest post that does what you think it should do rather than simply follow in Donna’s footsteps? But do feel free to include some info about your books too — because, of course, that’s essentially what the purpose of the blog is: not just to discuss the issues concerning the trade but to help booksellers do their thing – sell books. Thank you so much for hosting me, Phil. I got to meet with CBC once in Blackpool–1996 that would have been–when THE FIELDS OF BANNOCKBURN was released. Long memories and happy associations!